TRSA SERVICE NOT PROVIDED WITHIN R2401 AND R2402 WHEN ACTIVATED. 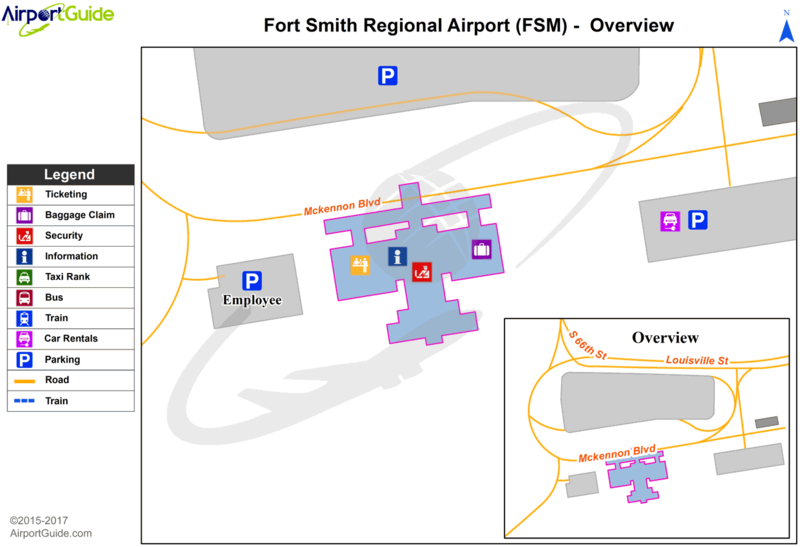 TRSA SERVICE NOT PROVIDED TO FORT CHAFFEE AAF FLIGHTS WITHIN THE FORT CHAFFEE TRAFFIC PATTERN. APCH/DEP SVC PRVDD BY MEMPHIS ARTCC ON FREQS 126.1/269.0 (FORT SMITH RCAG) WHEN RAZORBACK APCH CTL CLSD. A110-11 RY 01 AIMING POINTS 1390 FT FM THLD. A110-7 LNDG FEE FOR ALL FAR 121 & FAR 135 OPNS ABOVE 12,500 LBS. A110-8 PPR FOR ALL ACFT (INCLUDING US GOVT) ABOVE 100,000 LBS. CTC AMGR 0800-1700 MON-FRI 479-452-7000; MINIMUM 24 HRS IN ADVANCE. A110-9 FLOCK OF MIGRATORY BIRDS ON & INVOF ARPT. A26 24 HRS PPR FOR UNSKED ACR OPNS WITH MORE THAN 30 PSGR SEATS CALL AMGR 479-452-7000. A43-01 PAPI UNUSABLE 8 DEGS LEFT SIDE OF CNTRLN. A43-19 PAPI UNUSABLE 5 DEGS RIGHT SIDE OF CNTRLN. A70 100LL AVBL 24 HRS SELF SERVE. 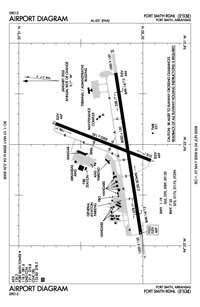 JET A NOT AVBL SAT 2200-0600 SUN & 2200 SUN-0600 MON. A81-APT WHEN ATCT CLSD ACTVT HIRL RY 07/25; MIRL RY 01/19; MALSR RYS 07 & 25 - CTAF.